Vadventure is committed to providing customers with the best products and services. This safari hat is made of 100% high quality waterproof polyester. Our boonie hats are designed for the outdoors to stay cool and protect their faces and heads from the sun and harmful UV rays. The mesh crown inside keeps your head cool and ventilated. Perfect boonie summer sun cap suitable for outdoor sports and activities such as doing research, fishing, hunting, hiking, gardening and going to beaches etc. If you are not satisfied with this outdoor hat, please contact us without hesitation. 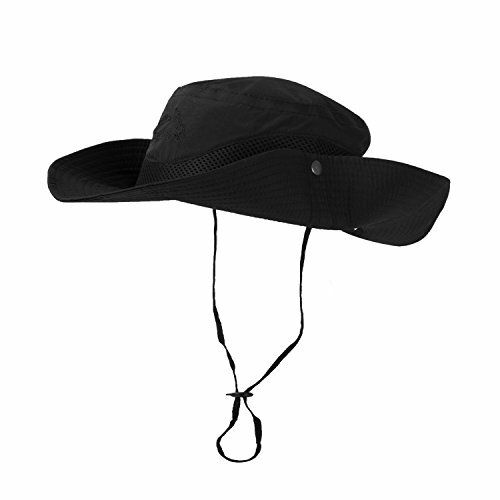 Please Do Not Machine Wash or Brush Wash.
GREAT QUALITY: 100% good quality waterproof polyester boonie hat. 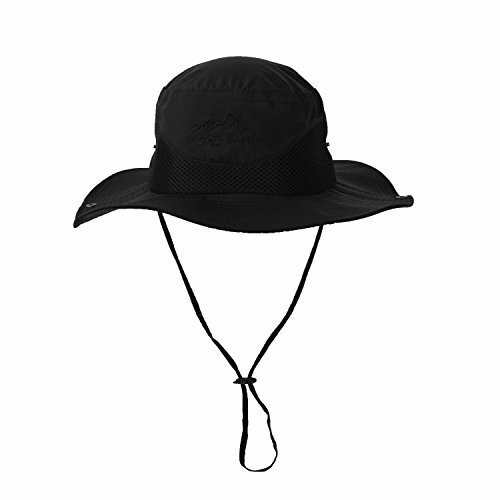 ADJUSTABLE SIZE: The summer caps are one size fits most adult head size with a adjustable elastic drawstring in the back. 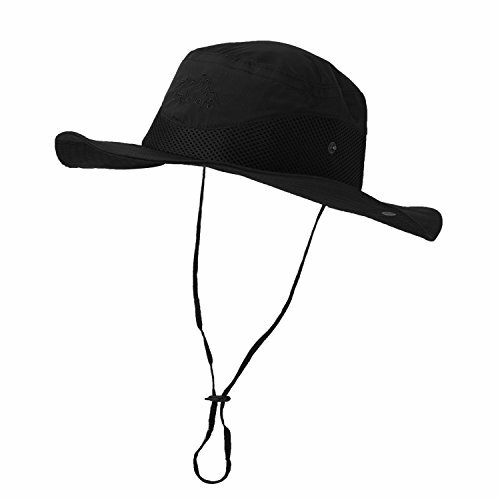 The adjustable chin drawstring can keep the cap in place, especially in windy days. 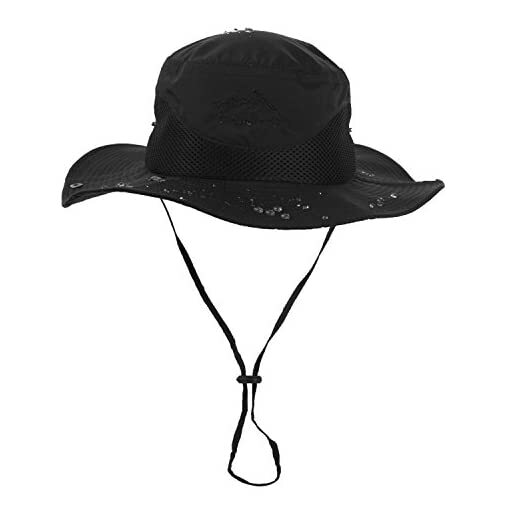 LIGHTWEIGHT & PORTABLE: Our sun hats are very light and can be folded up or down in different styles to be easily packaged while still maintaining its shape. SUPER BREATHABLE: Wide brim protects your face and neck from the sun and harmful UV rays. Our outdoor hats have mesh panels to keep your head ventilated and stay cool. 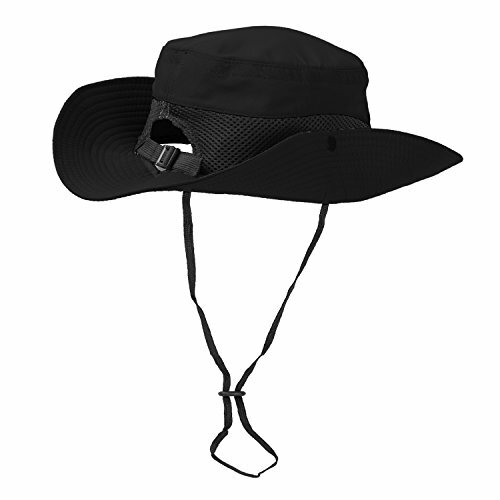 UNISEX DESIGN: Our boonie hats suit for both men and women. There are various colors for you to choose from, whether you are a man or woman, boy or girl you can find the one you like.